Obstructive sleep apnea (OSA) is a common medical condition that is increasing in prevalence and is associated with substantial morbidity and a 40% eight-year mortality rate if left untreated. Morbidly obese patients have a greater incidence of co-morbid disease, including OSA. OSA is characterized by repeated upper airway obstruction and arousal during sleep, sympathetic activation, hypertension and daytime somnolence. In morbidly obese OSA patients undergoing surgical procedures, the perioperative period is more challenging than in non obese OSA patients. Their airway anatomy is often abnormal with excess pharyngeal tissue and tongue size making it difficult to ventilate thru a facemask and to establish tracheal intubation. 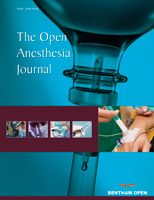 Several suggestions for optimizing the anesthetic induction, emergence, and early recovery periods in these patients are offered. Most important are positioning of the patient (both during and post surgery), pre-oxygenation prior to intubation, proper dosing of anesthetic maintenance drugs to ideal body weight, alveolar recruitment maneuvers, full reversal of paralysis at the end of surgery, and careful drug titration in recovery to improve pulmonary mechanics. With proper preparation and precautions it is possible to avoid the significant high frequency of respiratory and cardiac complications observed in these patients and to avoid or better manage length of hospital stay, unplanned ICU admission and/or reintubation.